Miss Suzana Neo completed her Diploma in Dental Hygiene and Therapy and graduated as an Oral Health Therapist from Nanyang Polytechnic in year 2011. She was awarded with the most prestigious academic achievement – Director’s List award in year 2009. Miss Suzana has also obtained a Part 1 Dental Hygiene and Therapy Certification from Singapore Dental Council. Since graduating as an Oral Health Therapist, Miss Suzana was providing Dental Hygiene treatment at the National Dental Centre and Health Promotion Board before joining GPA Dental Group in year 2011. 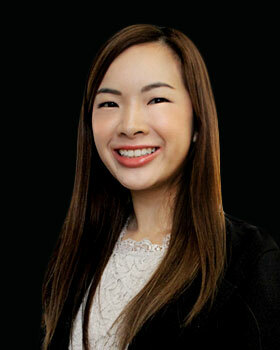 Miss Suzana has great interest in advanced technology in dentistry and is exposed to many various CAD/CAM systems in her years of career with GPA Dental Group. She is a member of Association of Oral Health Therapist. She regularly attends continuing professional education to constantly update herself.